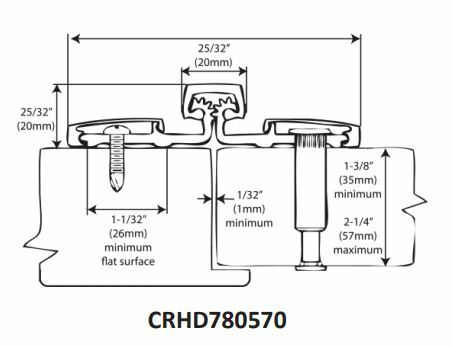 CRHD78 0570 Cal-Royal Continuous Geared Hinge, Heavy Duty, Full Surface - Full Surface models have the frame leaf mounted to the face of the frame and the face of the door. The door leaf is mounted to the door with through bolts. 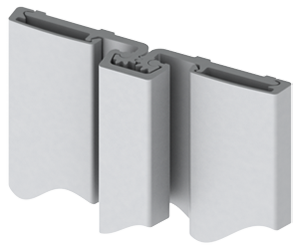 Heavy Duty for high frequency doors or heavy medium frequency doors up to 450 lbs. FIRE RATING: Up to 3 Hours.